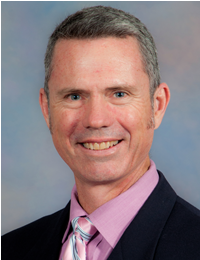 Mark Bishop received his entry-level training in Australia and has more than 25 years of experience working in the management of musculoskeletal pain conditions. His research examines the neurobiology of pain development and management to identify potential mechanisms that 1) explain the transition from acute to chronic pain and 2) mechanisms of conservative care for pain. This work has been recognized with numerous research awards. His teaching portfolio covers DPT, residency and fellowship, and graduate coursework nation wide and has been recognized with awards from the FPTA, and Orthopaedic Section of the APTA.